(Bridgewater, N.J., Feb. 6, 2017) – The Somerset Patriots have announced that catcher Yovan Gonzalez has been re-signed for the 2017 season. Gonzalez enters his second season with the Somerset Patriots and his second in the Atlantic League. He hit .264 with two home runs and 30 RBI over 80 games last year, and was used as the team’s primary catcher. Defensively, Gonzalez led the Atlantic League in fielding among catchers who played in at least 450.0 innings with a .998 fielding percentage (one error in 645 chances). In addition, he finished third among all Atlantic League catchers in innings played (693). The Aibonito, Puerto Rico native had spent the first seven years of his career in the Cincinnati Reds organization, reaching as high as Triple-A Louisville in 2013. 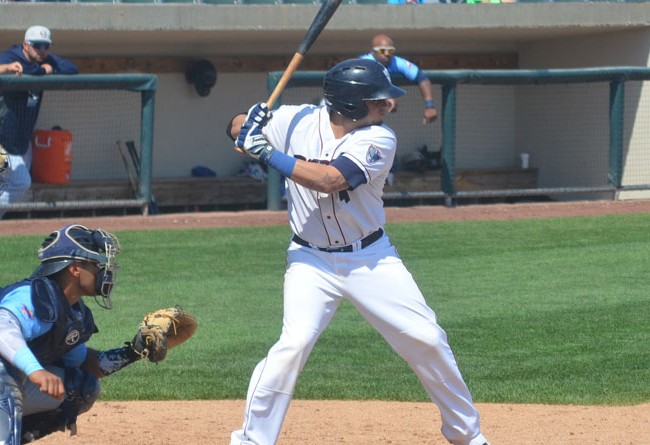 In 2015, Gonzalez played in 38 games with Double-A Pensacola, hitting five home runs with 14 RBI. Gonzalez has always excelled defensively throughout his career. He has thrown out 34% of potential base-stealers (178-516) over his career, including two seasons (2009, 2011) of over 50%. Additionally, Gonzalez holds a career .990 fielding percentage behind the plate. The 2009 draft pick from Wabash Valley College 17 home runs and 176 RBI over 463 minor league games.